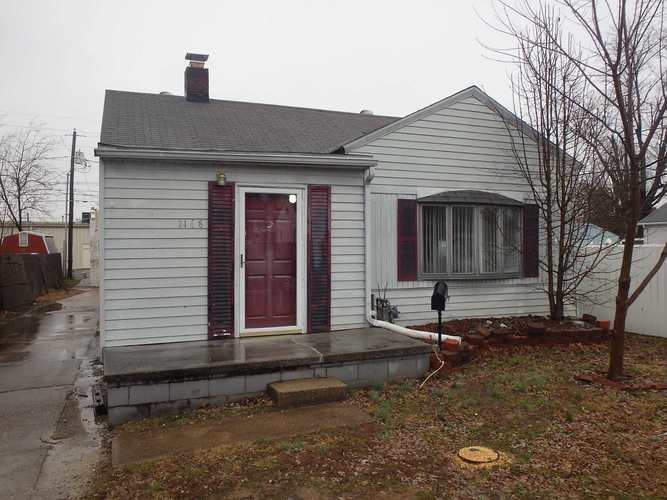 2 bedroom, 1 bath home on Evansville's East side. Home features eat-in kitchen, living room and unfinished basement. Large 2 car detached garage. Listing provided courtesy of BAKER AUCTION & REALTY.